What I will say is the Model 3 is going to try to be a lot of things. Musk has many times referred to the Model 3 as an A4/3 series competitor, but in reality, I think that $35,000 model is going to be somewhere below and will likely compete with the top end economy models (ie Accord, Avalon, etc). We shall see, but I think the desired customer base for Tesla is something more than even "Potential 3 series buyers"
As with Model S (and BMW) few will likely to get the base model - most will likely be more than 40K. And due to overall Tesla volume, the credits will phase out by the time the 3 hits in volume, so there will be few discounts. 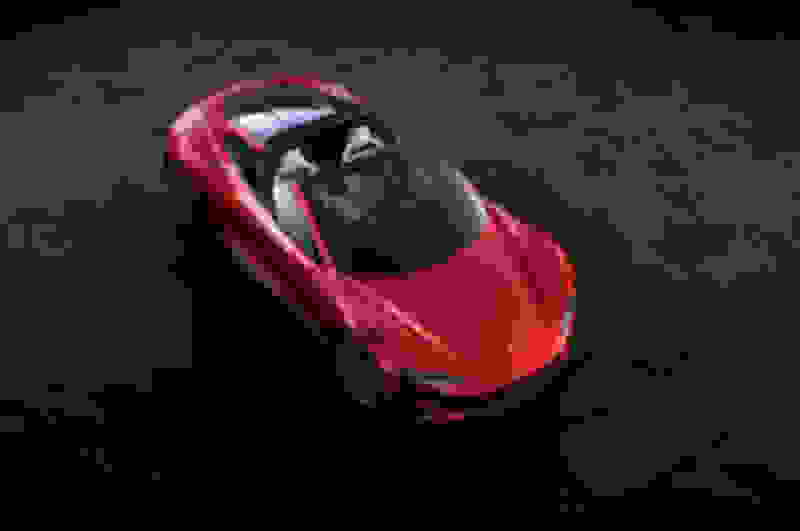 That $35K was just a teaser, in reality it will still be an expensive car. I agree, which makes it all the more impressive that Tesla has convinced your typical Accord/Mazda buyer that they, too will one day be able to buy a Tesla. People I know can't afford that expensive of a car have quickly parted with their $1000. 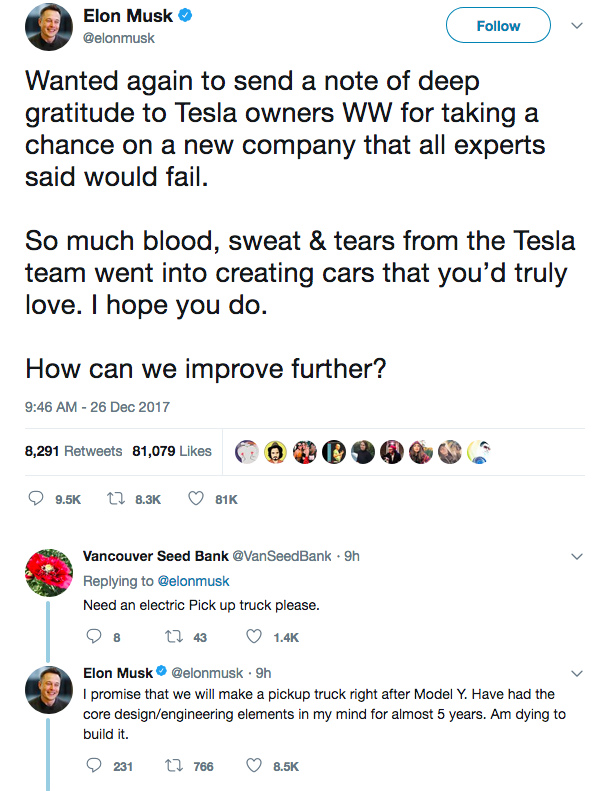 I'm kind of in awe that Tesla has done what they have been able to do. He once said that he will not buy something that he doesn't understand the business model. I wonder what is his understanding of a company paying yearly 175x less what it is worth; that is very against what he said in the past. I assume that he meant speculation in a limited time frame. As I said that window of opportunity has passed. Tesla and Amazon will be the epitomes of the upcoming market share crash. Write this somewhere. 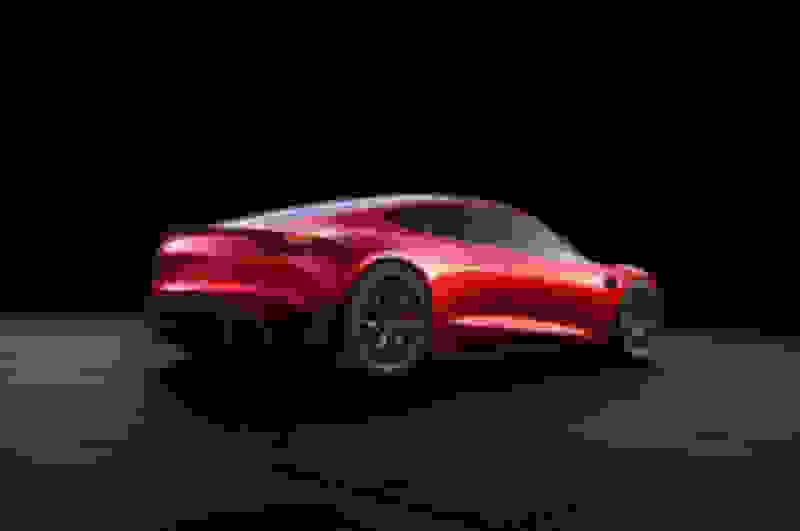 Musk first teased the Model Y in October of 2015 when he tweeted, and then deleted, a short mention of the company’s forthcoming all-electric crossover SUV. He’s been light on details ever since, as the company has been focused on launching the Model X and Model 3. 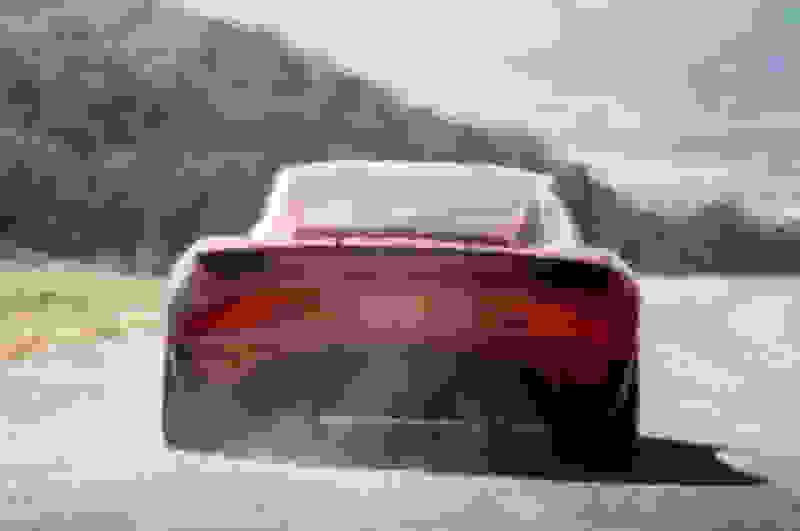 At the meeting today, though, he flashed what is our first glimpse of the Y.
There’s very little to go off of in that image, I know, but it appears in line with what Musk has said about the car. It will be a crossover, one that’s sized smaller than a Model X but bigger than the Model 3. 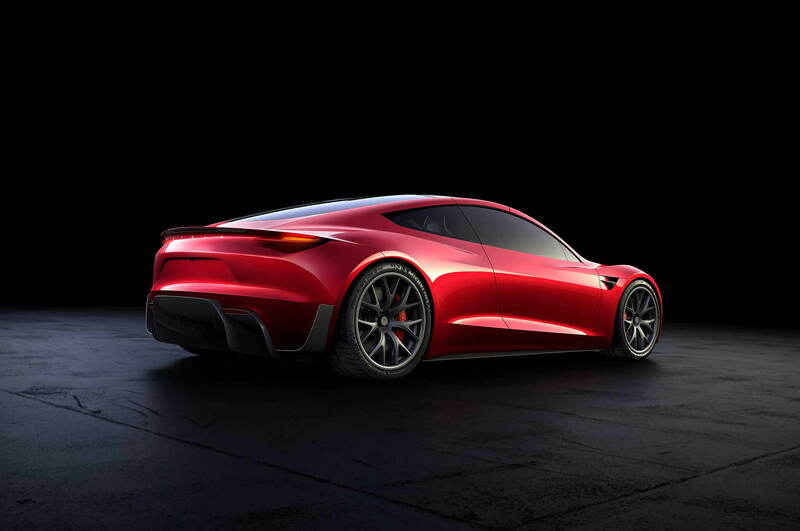 It will also be a much simpler car with respect to the electrical systems inside — Musk said last month that the Y will have far less wiring than its other cars as the company moves away from its standard 12-volt battery architecture. 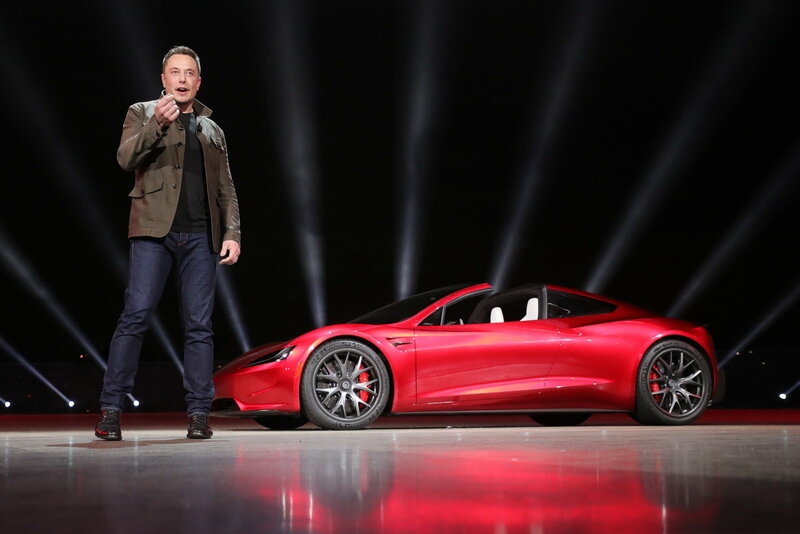 Musk also said last month that the Model Y, which is targeted for 2019, would be built on an entirely new vehicle architecture platform, contradicting assumptions that it would be built on the Model 3’s platform as a cost-saving measure. Musk said today that “there are a number of really major manufacturing improvements that can be done that allow us to build a car in a way that a car’s never been built before” by building the Model Y on a new platform. 2) Building The Model X On The Model S Platform Was "A Mistake"
3) The First Model 3s Will Be "Very Simple"
The Model 3 is the car that’s supposed to bring Tesla to the masses, and yet it wasn’t discussed much — even though it’s launching this summer. Musk did say, though, that the configurator for those who have preordered the car will go live toward the end of next month, when the first Model 3s roll off the line. Tesla is working on making an all-electric, heavy duty big rig that it plans to unveil at an event this September. We’ve known that for a while, but what’s new is that Musk said the company is collaborating with potential customers of the semi truck to help design it correctly. Maybe it's because it's a car company and we all live in an iPhone a year world, but the glacial pace at which Tesla is even making announcements and promises is painful. Just remember...it was a company that was never supposed to succeed, even in Musk's original thought. They fact they survived and keep moving forward is pretty phenomenal. I drove my friend's i3 yesterday and just reminded me why i hate driving E cars.... For people who have motion sickness, Electric cars are not for you. If you have frequent passengers who have motion sickness, Electric cars are not for you. The way the car accelerates and decelerates will make you dizzy..... I don't understand the science behind it but my stomach don't lie. Is it because of the immediate and flat/linear torque? they also very cheaply deisgned and built. high insurance and un safe.. so big wheel wells that rim size bigger than 21inch look good. 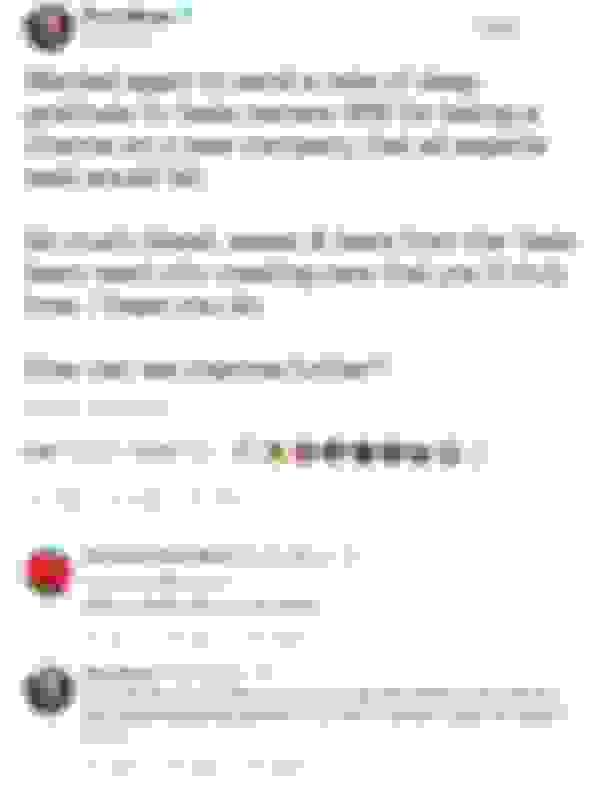 Ah, so he turned into a Tesla hater too, got it. The Tesla Model X has been granted a five-star crash rating from the National Highway Traffic Safety Administration. Not only did it score an overall five stars, but the SUV also earned five stars in every category and subcategory of testing, making it the first SUV ever to receive top ratings across the board, Tesla touts in a new release. The Model X nabbed five stars in the main categories of front, side, and rollover crash tests. It also earned five stars in all subcategories, including front driver-side, front passenger-side, side driver-side, side passenger-side, front-seat, combined rear-seat, side barrier, overall side pole, and rollover tests. 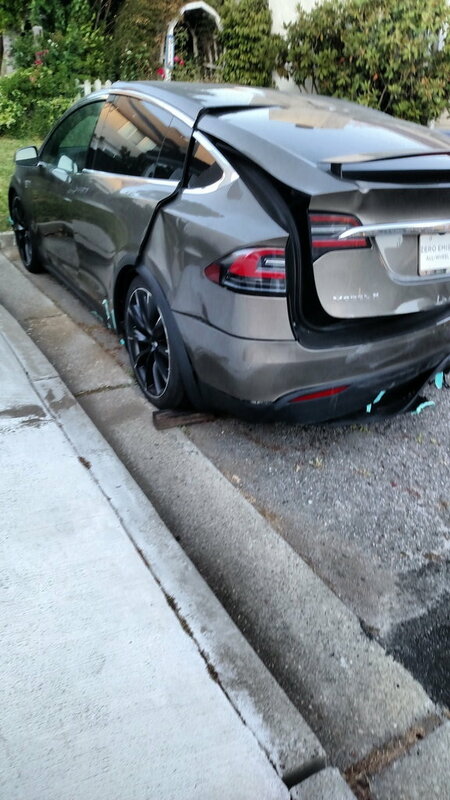 In the event of a serious crash, Model X occupants have an overall 93 percent chance of walking away without a serious injury. With that statistic, the Model X has the lowest probability of injury of any SUV ever tested by NHTSA. And other than the Model S, it has the lowest probability of injury among all cars NHTSA has ever tested. On top of these stats, the Model X has the lowest rollover probability of any SUV on the road. According to Tesla, the Model X’s low center of gravity, achieved by a battery pack that’s mounted beneath the floor, ensures the Model X achieves an exceptional rating in this category. Never let facts get in the way of an argument. Why not work directly with Spotify, Apple and others? Good question. Put this one in the “You can do that, but why would you want to do that?” file: Tesla is talking to the music industry about creating its own streaming music service. Music industry sources say the carmaker has had talks with all of the major labels about licensing a proprietary music service that would come bundled with its cars, which already come equipped with a high-tech dashboard and internet connectivity. Label sources aren’t clear about the full scope of Tesla’s ambitions, but believe it is interested in offering multiple tiers of service, starting with a Pandora-like web radio offering. The bigger question: Why doesn’t Tesla simply integrate existing services, like Spotify or Apple Music, into all of its cars from the start — especially since Tesla already does a deal with Spotify for Teslas sold outside the U.S.? Tesla’s negotiations do not guarantee that a plant will be built. Under Chinese law, such a project would require Tesla to find a Chinese joint-venture partner. While China is full of Chevrolets, Fords and Volkswagens, most are made in factories jointly owned by a foreign automaker and a local company. The City of Shanghai controls the SAIC Motor Corporation, one of China’s largest automakers and a partner for General Motors and Volkswagen. It was not clear whether Tesla’s negotiations with the city government would steer the company to negotiate with SAIC. Calls to the Chinese automaker were not returned. Tesla could get around the joint-venture requirement by building a wholly owned factory in a foreign trade zone in China. But it would still have to pay the 25 percent import duty for cars sold in China, as the factory would be treated as outside China for trade purposes. Tesla delivered just over 22,000 vehicles in the second quarter, down from 25,000 in the previous quarter. The electric automaker blamed a severe production shortfall of 100 kWh battery packs. Tesla delivered just more than 22,000 vehicles in the second quarter, down from 25,000 in the previous quarter. The electric car maker blamed a severe production shortfall of 100 kilowatt-hour battery packs. The company said production average 40 percent below demand, until early June. 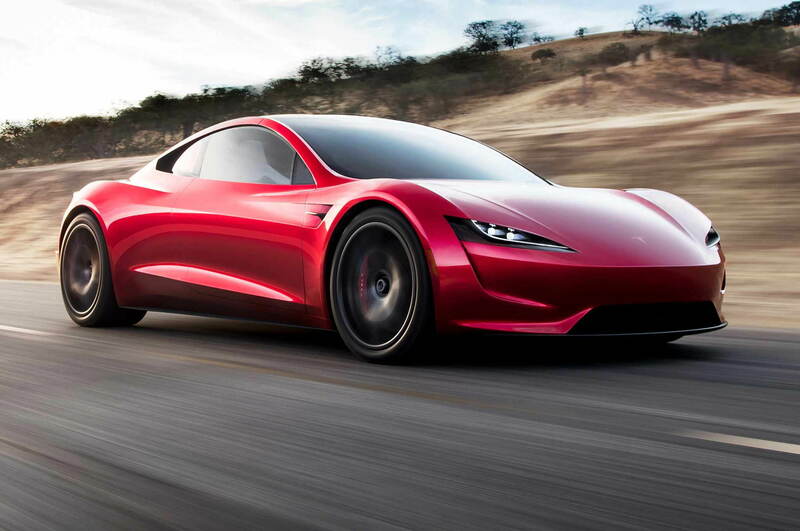 But once the issue was resolved, Tesla said production speed rebounded. Despite the slowdown, deliveries were up 53 percent from the same period a year earlier. 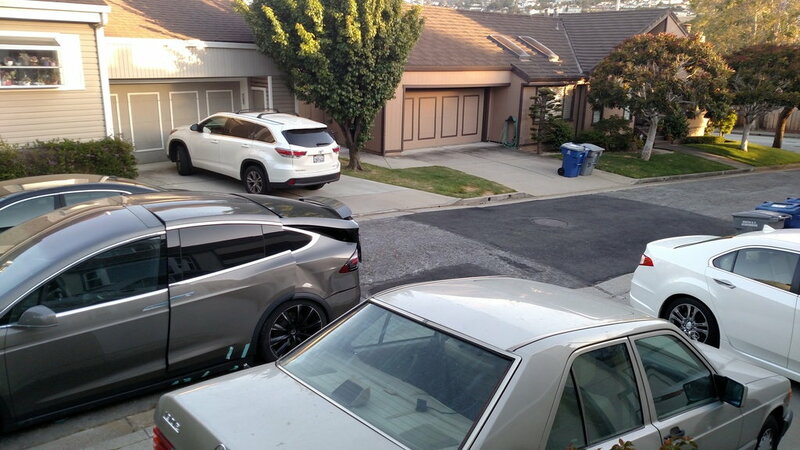 Of the over 22,000 vehicles delivered, 12,000 were Model S cars and just over 10,000 were Model X vehicles. Tesla produced 25,708 vehicles in the quarter, bringing production for the first half of the year to 51,126. Tesla also said it added more Model X cars to its test drive and display fleet because its stores had been running with too few, or in some cases, none at all. "There appears to be substantial untapped sales potential for Model X," the company said. The automaker also claimed that "production quality and field reliability of the Model X, for which Tesla has been fairly criticized, have improved dramatically." Tesla said that it's now "rare" for a new Model X to have "initial quality problems." The first production of Tesla's Model 3 that meets regulatory requirements will be finished this week and deliveries will start July 28. Delivery numbers are conservative, the company warned, saying final numbers could vary up to half a percent. For the second half of the year, Tesla said deliveries will "likely exceed" those in the first half of the year. There are only so many tree huggers who are willing to be tethered to an extension cord. The end of the tax exemption “has really put the brakes on electric-vehicle adoption in Hong Kong,” said Mark Webb-Johnson, a founder of Charged Hong Kong, a group that promotes electric vehicles. As a result of the new policy, the cost of a basic Tesla Model S four-door car in Hong Kong​has effectively risen to around $130,000 from less than $75,000. Hong Kong’s decision is effective through March 2018, and the government has said it would review the policy before then. Tesla doesn’t break out vehicle sales by country or region and declined to discuss specifics in Hong Kong. But it acknowledged in a statement a slowdown, calling it “expected” after the tax change and a “short-term” challenge. “Tesla welcomes government policies that support our mission and make it easier for more people to buy electric vehicles; however, our business does not rely on it,” Tesla said. The company said its sales in China, where it faces large tariffs, has risen without government incentives. “At the end of the day, when people love something, they buy it,” it said. Buyers of Teslas and other electric vehicles in many markets benefit from government incentives. Tesla notes on its website that U.S. purchasers are eligible for a $7,500 federal income-tax credit, plus additional incentives in some states. Norway has exempted electric vehicles from a range of charges, including import taxes, a 25% value-added tax and the purchase taxes that apply to​ gas-powered vehicles, according to Tesla. Those policies have helped make Norway, with a population of around 5 million, one of Tesla’s biggest markets, ranking second in revenue in 2015 and third last year after the U.S. and China, according to the company. Incentives vary​ elsewhere in Europe. Germany​ exempts electric vehicles from circulation taxes for a decade, while the U.K. exempts such vehicles from an annual circulation tax and full electric cars are exempt from a company car tax, according to the European Automobile Manufacturers’ Association. Last year in Denmark, an incentive program expired and was replaced with a less generous one.​ New car-registrations for all-electric vehicles of all brands fell 70% in 2016 ​in the country to 1,373 vehicles, while across the European Union the number grew by 7% to 63,278 vehicles. In the first quarter of this year, only 48 all-electric vehicles were registered in Denmark. Hong Kong, though relatively small, is a significant outpost of luxury-car buyers and trend setters. Its government had long waived its vehicle-registration tax for newly purchased electric automobiles, adding to the attractiveness of Tesla’s cars. Citing increased congestion of privately owned vehicles on its streets, the government said in February that it would be changing the policy so the tax would be waived only on the first 97,500 Hong Kong dollars (US$12,500) of an electric car’s purchase price for individuals. The Hong Kong registrations data don’t show actual sales figures but are a close proxy because new cars in Hong Kong must be registered to be driven. In May, only five privately owned electric vehicles were registered, according to documents provided to district council members and viewed by the Journal. The reversal in Hong Kong comes as Tesla is planning to expand in mainland China, the world’s largest new-car market. Last month, Tesla said it was exploring with the Shanghai city government the possibility of opening a manufacturing facility in China. China charges a 25% duty on all imported cars. ^ the same issue will hit US Tesla sales as the $7500 Fed tax incentive will run out by the end of the year. If gas prices were still high, Tesla might have a chance without incentives but as they stand it's not worth the premium you pay to drive one. I've been thinking of buying January 2019 $150 "puts" of TSLA. Unless Apple or Amazon buy Tesla I cna't see how Tesla has their ~$50B market cap. Interesting idea. Would your bet on a rough halving of TSLA's current valuation by 2019 be based on pessimism regarding the company's ability to deliver on the promise of the Model 3 as well as anticipated sun-setting of tax incentives in 2017-18? There's already some higher than normal volume in the Sep. 2017 $175 puts. A bit of a long shot though. Don't forget about this little Easter Egg. I, too, use "New Posts" more than anything. Good lord this thing is fast! Is that with narrow all season tires or wider super high performance tires? Um, has anyone at tesla ever sat in an 18 wheeler? what is the point of 0-60 in a semi? the flip side of that is..... at least being slow makes it "safer" and predicable than faster with a full container in the back. Yep...most of the traffic jams are caused by slow moving trucks. 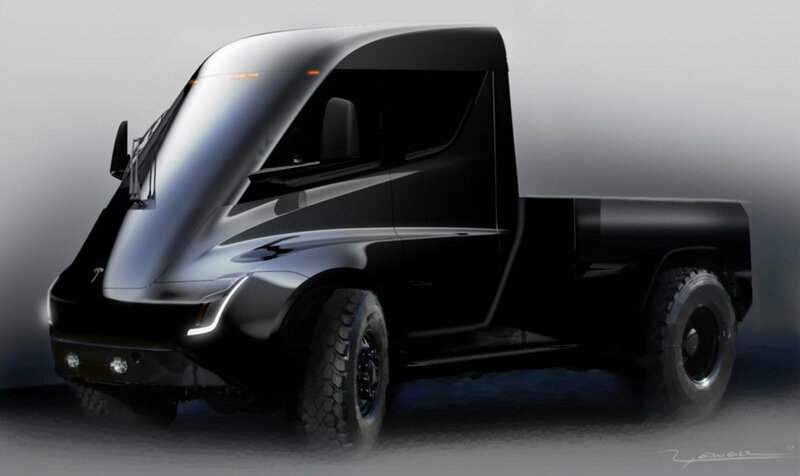 And this will put all the other truck companies on notice, start developing hybrid trucks are you are done. Anheuser-Busch has placed an order for 40 Tesla Semi trucks, the American division of mega-brewer AB InBev announced Thursday. The beer maker said its preorder is one of the largest placed for the long-awaited model that Tesla CEO Elon Musk unveiled last month. Tesla isn't making public statements about its customers or potential customers, although Jalopnik.com's list of compiled reports shows Tesla has at least 140 Semis preordered. Walmart ordered 15 last month. The move is part of Anheuser-Busch's goal to reduce its operational carbon footprint by 30 percent by 2025. To be sure, 40 trucks would represent a fraction of the 750 total trucks in the company's dedicated fleet, which delivers products from breweries to local distributors. Those drives are a couple hundred miles, within theSemi's 500 mile range, said James Sembrot, senior director of logistics strategy. Anheuser-Busch settled on 40 semitrailers thinking it would be a good place to start, Sembrot said, since the earliest the company could receive its orders is likely 2019. The semitrailers will be fully electric and equipped with Tesla's semi-autonomous Autopilot system. The brewer placed the order, putting in an undisclosed dollar amount, but Sembrot said it's too early to say whether it will buy them outright or if one of its dedicated fleet partners will buy them. 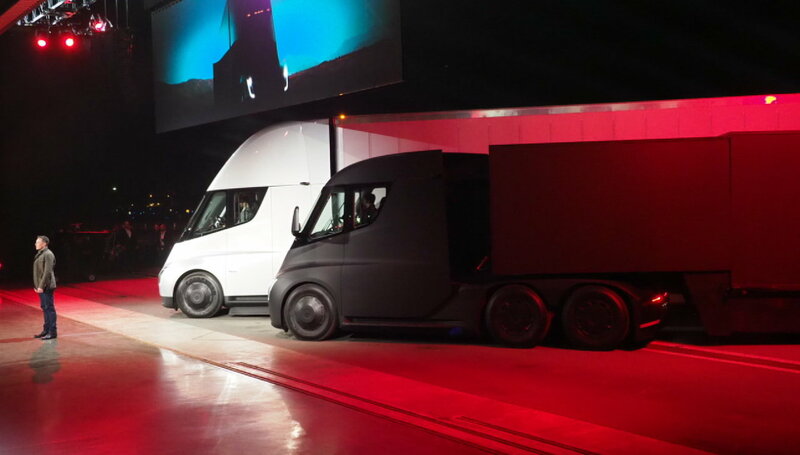 "The important thing was to get the Tesla Semis reserved so we have our place in line, and we'll address details later on," he said. Shares of Tesla were up fractionally Thursday. I am quite keen on building a truck and I think there’s a lot one can do with truck technology. I think the torque will be very useful in towing and pulling in the F150's market, but i also think there is certain expectation and tradition when it comes to that part of the market... not sure how the typical truck driver would feel about it.